Experts predict that by 2025, just seven short years away, the number of households owned by mortgage holders will be under six million. At the same time, the number if households living in private rented accommodation will be slightly higher, at six million. This crossover in cultural thinking about owning homes will come in late 2024, according to senior economist from NatWest, Sebastian Burnside. Flat rentals are on the increase. In 2017, there are already more people who own their home outright than people buying a new home with a mortgage in place. The number of outright owners of residential property is set to increase. By 2024, it’s estimated that around nine million households will own their homes completely. This is an increasingly popular form of home ownership in the UK, and has been climbing steadily since 2013. This is down to the baby boomer generation, which is increasingly able to pay of their mortgages and own their homes. The figures for households in social rental accommodation will decrease from four million today, to just beneath that figure. Fewer people than ever are taking out mortgages due to the vast differences between their incomes and the price of houses. The gap is just too much for many people to bridge, and with such an uncertain economic outlook due to Brexit and other political causes, this figure is set to decline further. 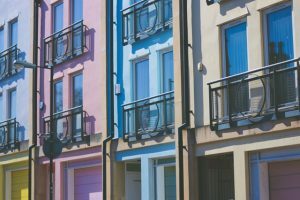 As the private rented sector continues to grow, it’s predicted that lenders should rethink their strategies when it comes to repossession. Traditionally, lenders are more lenient with home owners who fall behind on their mortgage payments. By contrast buy-to-let landlords are much more strictly treated. Defaulting landlords can expect to have properties repossessed in a few short months. This obviously poses a problem to families who are living in the properties for the long term. As this number is likely to rise continuously over the next few years, it’s another adjustment that the industry must make to keep up with changing attitudes towards home ownership. This entry was posted in Residential and tagged Fortitudo, Fortitudo Property, Property, Rentals, Richard Carr, UK by Richard Carr. Bookmark the permalink.